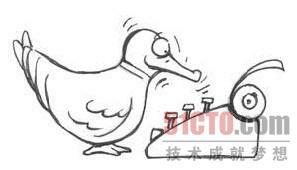 The person imitates a duck. The person takes a feather from the ground and shows it. The duck has white and gray feathers.